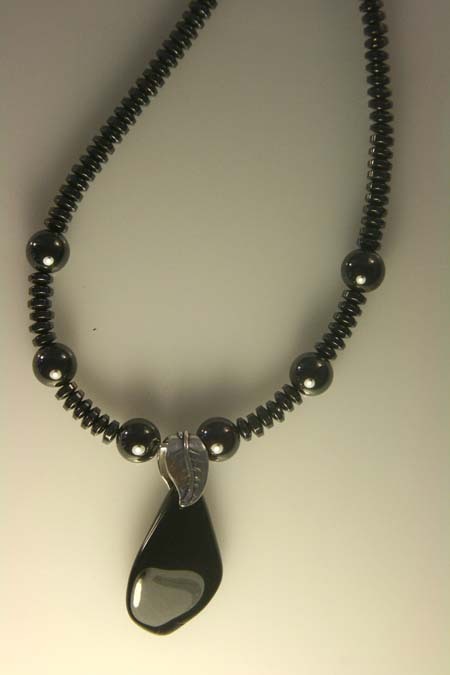 Wonderfully protective, this stunning necklace combines Black Tourmaline with Hematite. 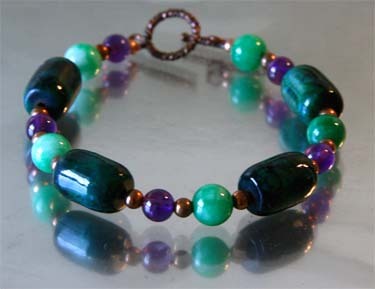 Both are grounding and protective and help deflect negative energies, transmuting them into light. 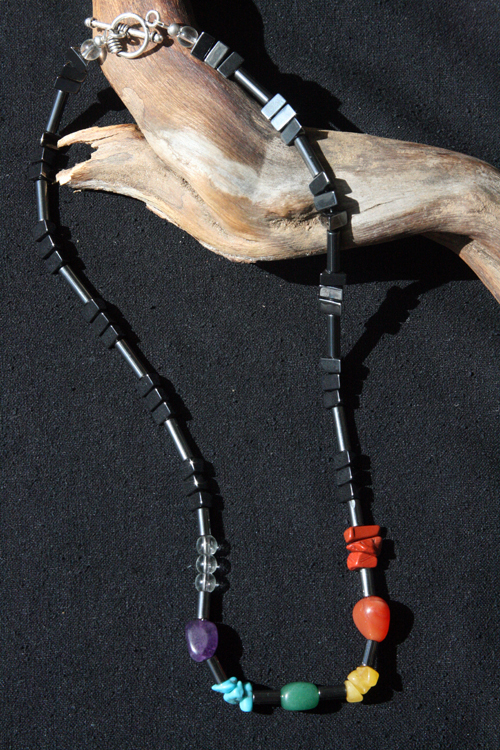 A handsome, very balancing necklace that is protective and promotes wellness. 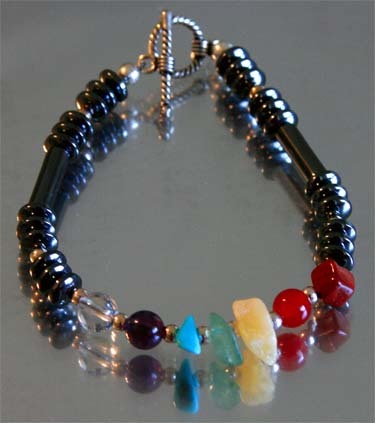 It balances all 7 of your energy centers known as chakras. 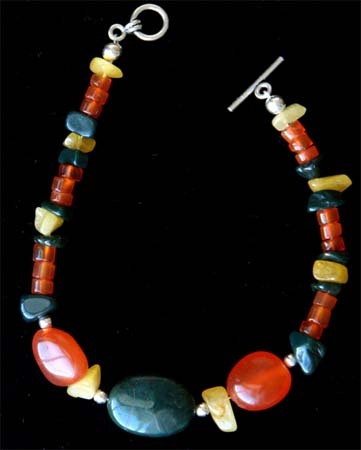 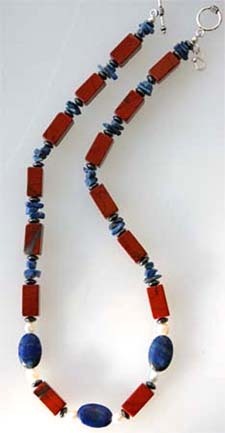 A handsome combination of Lapis Lazuli, Red Jasper, Hematite.